Australia opener David Warner struck a century as England endured a tough time in the field on the opening day of the Boxing Day Test in Melbourne. Warner dazzled with some fine strokeplay in a one-sided morning session against an England side that looked flattened after surrendering the Ashes in Perth. The tourists fought back and Warner could have been dismissed on 99, only for Tom Curran to be denied his maiden Test wicket when replays showed that he had overstepped. Still, Warner was dismissed shortly after reaching three figures and England had an opening when Australia were reduced to 160-3. But, under a cloudless sky and on a flat surface, home captain Steve Smith made an unbeaten half-century to guide Australia to 244-3 in front of a crowd of 88,172. 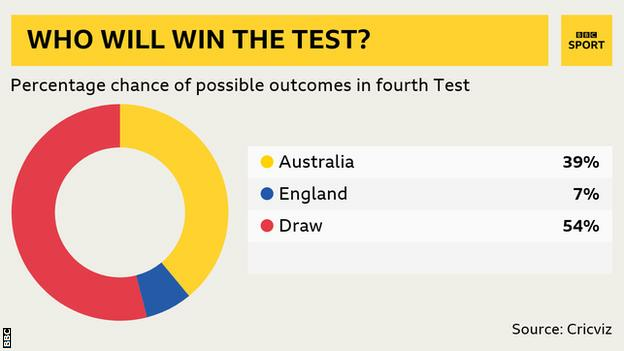 England, already 3-0 down, are looking to avoid a second successive Ashes whitewash down under and third in 11 years. Currently on an eight-match losing streak in Australia, they have never previously lost nine consecutively. After a lacklustre start, the touring pacemen grew into the day but Moeen Ali posed no threat. And, ultimately, Joe Root’s men are in urgent need of early wickets on day two to prevent Australia from racking up another huge total. The swashbuckling manner in which Warner played during the morning session made run scoring look much easier than it later proved to be and set an ominous tone for England. The left-hander, faced with boundary sweepers on both sides as early as the fourth over of the match, punched through mid-off, cut, and whipped off his pads, all whilst running with urgency. Before his scoring was checked, there was a prospect of a century before lunch, but instead he had to settle for 83 of the 102-0 that Australia reached by the interval. England, however, got a grip on scoring in the afternoon. Warner saw Cameron Bancroft pinned leg before by Chris Woakes for a painstaking 26 and spent eight overs in the 90s. The tourists’ pressure looked to have paid off when Warner, one short of three figures, attempted a pull off Curran and top-edged to Stuart Broad at mid-on. As England celebrated, the big-screen replay of Curran overstepping brought a huge cheer from the home fans that was superseded one ball later when Warner nudged into the leg side and launched a sustained and emotional celebration to mark his 21st Test ton. Curran’s error was not too costly, with Warner on 103 when he followed one that James Anderson got to move away, resulting in an edge to wicketkeeper Jonny Bairstow. After losing the toss in scorching heat and on a surface that initially seemed perfect for batting, England were always in danger of enduring a difficult day. Their new-ball bowling was nothing more than adequate and, as Warner showed his intent to score, the tourists were subdued for large parts of a morning that was barely a contest. To their credit, they improved immeasurably after lunch. The pace attack had the control to bowl to packed off side fields and Australia’s scoring slowed on a pitch that increasingly revealed itself to be two-paced. From piling on more than 100 before lunch, Australia could only add 43 for the loss of two wickets in an attritional afternoon session. Curran impressed with seam movement and slower balls and, after tea, Broad ended a personal run of 69 wicketless overs by having Usman Khawaja caught behind. Off-spinner Moeen, though, remains a concern. A doubt on the morning of the match because of a finger injury, his six overs cost 35 runs and forced Root to turn to Dawid Malan’s part-time leg-spin. For their improvement and endeavour, England have only three wickets and are facing a huge challenge to get back into this match. Their biggest concern is the continuing presence of Smith, who has already made two big hundreds in this series. The skipper has scored a century in each of the past three Boxing Day Tests and has not been dismissed in Melbourne since 2014. Smith shared an unbroken stand of 84 with Marsh, the subject of big Broad lbw appeals from the first two balls that he faced, one of which was unsuccessfully reviewed. The world’s number one batsman helped himself to an unflustered, problem-free half-century with the minimum of fuss. There was the occasional boundary through the off side, but scoring mainly came with tucks off the pads. His scores in first-innings in this series are 141 not out, 40, 239 and now an unbeaten 65. Smith saw off three overs with the new ball alongside Marsh, who has 31, and Australia have a platform from which they can bat England out of the game. Former England captain Michael Vaughan: “David Warner was fantastic. England had triggered his mindset into being negative with the way they’ve bowled this series. He’s thought, ‘I’ll see off Broad and Anderson’ and that’s affected his game. “From the first over today, however, Warner came out with more positivity and that’s the best way he plays. “He’s a wonderful player to watch when he bats like he did today. “I’ve always felt there is something there in this pitch for the bowlers. Go back to 1998 and 2010 when it did plenty on the first day. You don’t get too many draws at the MCG. England seamer James Anderson, speaking to TMS: “It was a long day, we didn’t start well or adjust to conditions. It was a flat, slow wicket and we bowled too many bad balls and let them get away. “But the way we came back in the second session was very impressive. The pace of the pitch didn’t help us, but we stuck to our task well and just didn’t get the breaks at the end. Australia opener David Warner, speaking to BT Sport: “It was a hard fought day. England brought it back in the afternoon and bowled fantastic when the ball reversed but towards the end we got on a bit of a roll and as we have seen over the last couple of years Steve Smith comes in makes it look very easy.